This seems like a REALLY bad idea. Put your baby on the end of a spring, right in front of the windshield… bright. 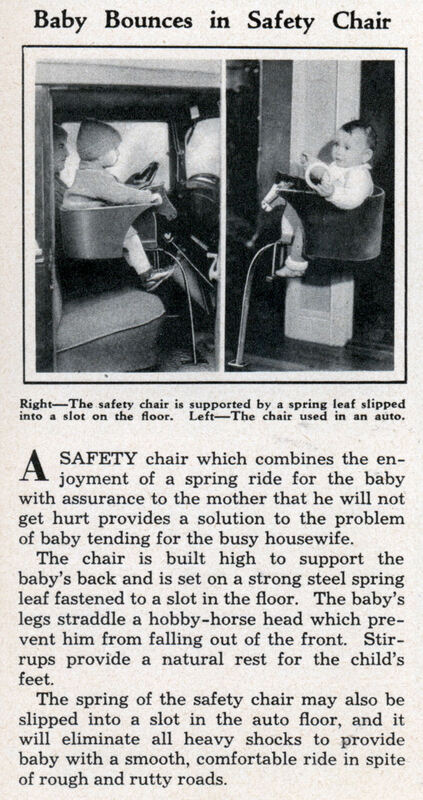 A SAFETY chair which combines the enjoyment of a spring ride for the baby with assurance to the mother that he will not get hurt provides a solution to the problem of baby tending for the busy housewife. The chair is built high to support the baby’s back and is set on a strong steel spring leaf fastened to a slot in the floor. The baby’s legs straddle a hobby-horse head which prevent him from falling out of the front. Stirrups provide a natural rest for the child’s feet. The spring of the safety chair may also be slipped into a slot in the auto floor, and it will eliminate all heavy shocks to provide baby with a smooth, comfortable ride in spite of rough and rutty roads. Holy hell, this is an incredibly retarded idea. I realize they must have done *some* sort of testing, or else there wouldn’t be that photograph of the baby actually *in* the chair, but seriously– very little thought. Holy crap. I see the Wile E. Coyote school of design was on this one. One baby catapult to go! 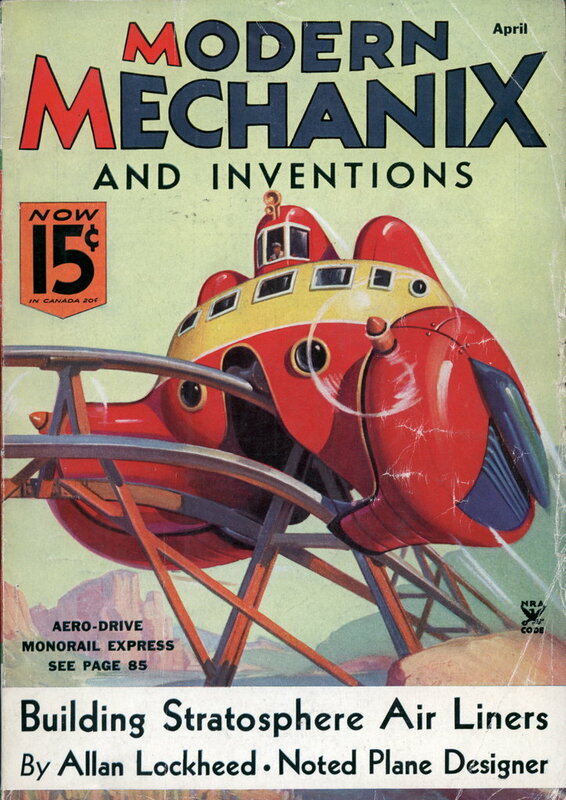 If they were really well strapped in, it could pendulum beating the kid repeatedly against the dash or windshield.